Ohio University Press, 9780821423363, 232pp. In Shakespeare the Illusionist, Neil Forsyth reviews the history of Shakespeare’s plays on film, using the basic distinction in film tradition between what is owed to Méliès and what to the Lumière brothers. He then tightens his focus on those plays that include some explicit magical or supernatural elements—Puck and the fairies, ghosts and witches, or Prospero’s island, for example—and sets out methodically, but with an easy touch, to review all the films that have adapted those comedies and dramas, into the present day. Forsyth’s aim is not to offer yet another answer as to whether Shakespeare would have written for the screen if he were alive today, but rather to assess what various filmmakers and TV directors have in fact made of the spells, haunts, and apparitions in his plays. 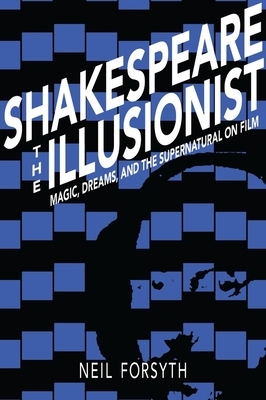 From analyzing early camera tricks to assessing contemporary handling of the supernatural, Forsyth reads Shakespeare films for how they use the techniques of moviemaking to address questions of illusion and dramatic influence. In doing so, he presents a bold step forward in Shakespeare and film studies, and his fresh take is presented in lively, accessible language that makes the book ideal for classroom use. Neil Forsyth teaches at the University of Lausanne, Switzerland. He is the author of John Milton: A Biography, The Satanic Epic, and The Old Enemy: Satan and the Combat Myth, as well as numerous journal articles and book chapters.